Guys, Big Sur was unreal. If you haven't been there, it's time to add it to your bucket list. 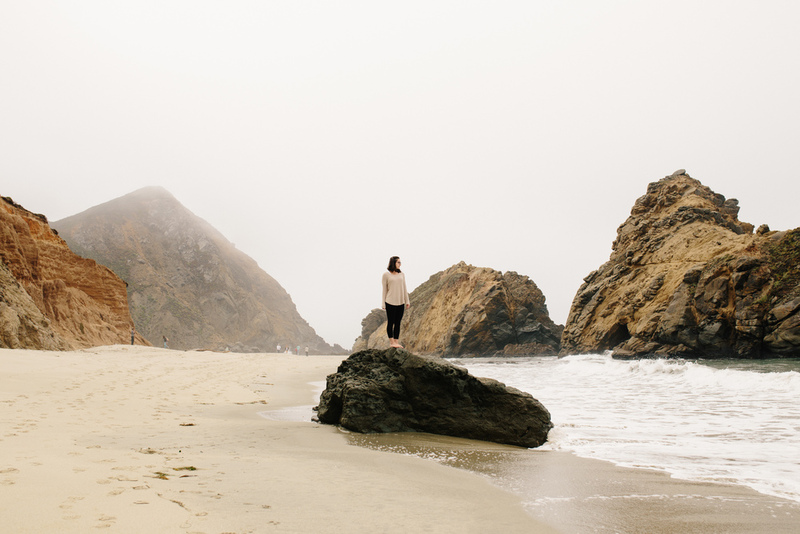 Big Sur, as we learned, is more of a state of mind than a place on a map. It stretches across 80 miles of uninterrupted rugged coastline that remains untouched by most modern amenities (you won't find a bank, fast food chain, or stop light in these parts). What you will find are sweeping views, hiking to your heart's content, and that little extra pump of adrenaline that comes with operating a vehicle teetering on the edge of a cliff. When we weren't pulling off at scenic overlooks (not kidding about the abundance of stunning views, people), we were hiking to them. We started in Julia Pfeiffer Burns State Park and wandered part of the Ewoldsen Trail. It zigzags upward amid a dense forest of Redwoods. While they may not rival the Sequoias that populate the state farther north, there's still something magical about being under this tree canopy: colossal, natural monuments that have extended their roots for generations and will continue to provide shade for generations to come. If you find yourself in Julia Pfeiffer Burns State Park, be sure to check out McWay Falls. It's a stunner of a waterfall that cascades 80-feet into a striking emerald cove. Big Sur—as you can probably imagine—can be an expensive stop along the way unless you're planning to pitch a tent. Thankfully, we stumbled upon Treebones Resort, which has everything from campsites to yurts to a TREEHOUSE. Yep, you read that right. And who could say no to a night in a treehouse that overlooks the Pacific coast? Sign. Me. Up. 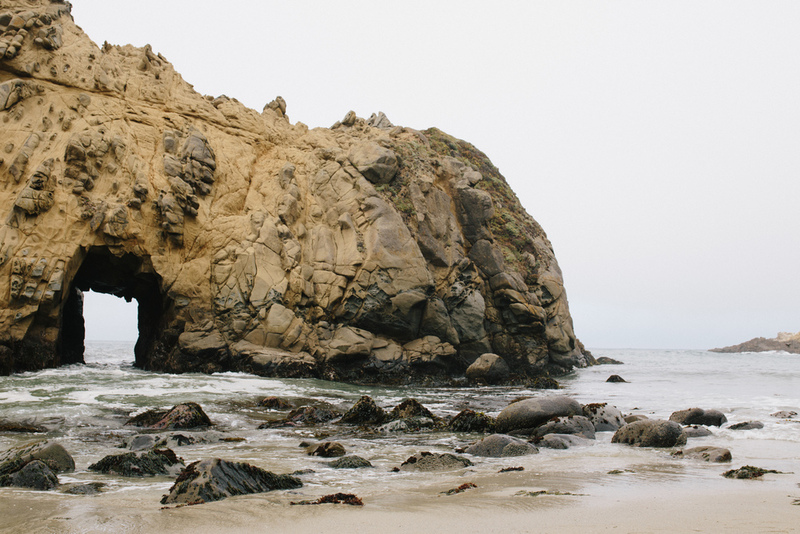 The next morning, we picked up coffee and almond croissants from Big Sur Bakery and sipped and savored our breakfast on Pfeiffer Beach. And how crazy is it that this beach has purple sand?! 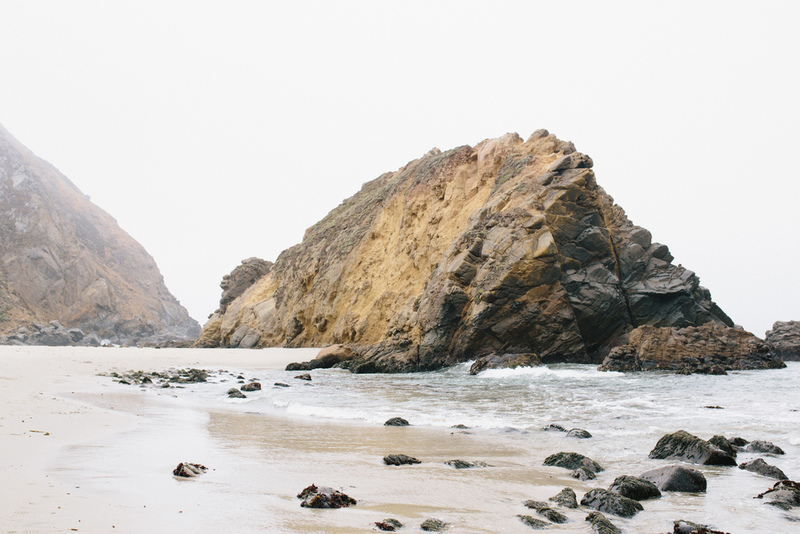 We could have spent a week in Big Sur, but we had more waiting for us in San Francisco. Driving across Bixby Bridge was the symbolic end of one adventure and the beginning of the next!